Extraordinary situations warrant extraordinary responses. The election of a new Director General of the World Health Organisation (WHO) next week is one such setting because it involves installing leadership of an agency, which has the mandate of protecting humanity from a global pandemic which could wipe out the development gains of the past century. A Spanish flu like pathogen, which killed an estimated 30 million people in 1918, could kill hundreds of millions in today’s globalized age, pushing the world into recession. Dramatic as this may seem, the fact that such a pathogen will eventually emerge is an epidemiological certainty. WHO is the global agency meant to exercise stewardship to protect the world from such a cataclysmic event. But its ability to do so was questioned during its handling of the recent West African Ebola crisis, where its systemic fault lines, inefficiencies, and lack of resources became clearly apparent. In response to this reputational damage, governments around the world and the organization itself committed to a significant reform program, but much work remains before it will be complete and it must be fully implemented. Beyond emergency response, WHO’s core mandate of norms and standard setting in global health has suffered with many changes needed to overcome past performance constraints, which are endemic to the UN system and also plague WHO. Solutions are within reach, but from my experience running for this post, I know that candidates can set themselves up for failure in the process of the election itself. “Deals for votes,” promising senior management positions and “agenda favors” constrain the ability to appoint the right people with appropriate skills for the job and to effect needed institutional change. They also affect a leader’s ability to take impartial decisions, speak truth to power, or be an honest, evidence-driven voice as a global guardian of health in the long term—the so called “political roles” of the Director General. WHO needs effective politically savvy leadership, but it cannot stand five more years of politics as usual within the United Nations. I have therefore decided not to make any “deals” in this election. My hands are free to make merit-based senior management appointments through a transparent recruitment process in the short term, and will allow me to play an impartial role over my term, more broadly. I have kept election expenses to a minimum. My campaign is supported by my government and a small network of volunteers. Also, on the campaign, I was the first candidate to commit to publishing my campaign finances and I have documented all my campaign costs as well as the source of the funding. I have not hired public relations agencies, political strategy companies, or advertising firms. I am not hostage to any agendas. Consistent with my career as a builder and a reformer, my approach to my campaign is how I will govern as Director General, with transparency, accountability, and a total commitment to public health working through partnerships. I strongly believe that delivery on the objectives of efficiency, transparency, and accountability, can only be enabled if the Director General comes out of the election process with clean hands. I am not alone in this way of thinking and continue to be humbled by the many Member States around the world who regardless of a singular view of “national interest,” quid-pro-quos, diplomatic reciprocals, or political and regional considerations have stepped forward to support me. We are one disease outbreak away from an unimaginable catastrophe. Pandemics, are not the only threat to public health. As the current director general, Margaret Chan, has said, there are other “slow motion catastrophes”—widening inequalities in health, noncommunicable diseases, antimicrobial resistance, and the dramatic effects of climate change—the latter threaten human existence in many small island developing nations. WHO has a unique role to play as the world’s only universal membership multilateral agency for health to avert and address these risks. An impartial evidence-driven WHO, free from undue influences can play its role more effectively, and deliver better results in this regard. The vision for health—universal attainment of the highest possible level of health and well-being—which has been validated in the Sustainable Development Goals is a shared responsibility. In order for WHO to drive action effectively towards this vision, it must first become effective itself, deliver on its exclusive roles to the world’s satisfaction, and have the ability to lead in a global health architecture, which is becoming increasingly fragmented. It is within this context that my vision for a new WHO focuses on the need for WHO to reclaim its primacy and regain the world’s trust as its lead health agency. I stand on record as a builder and reformer and someone who has demonstrated commitment to transparency and accountability. I will accelerate meaningful reform of the organization, build its foundations, and prioritize its core and exclusive mandates. Leadership on transparency and recruitment based on merit rather than backroom deals will help rebuild trust and put the organization in best position to bring stakeholders together to drive action on the tough issues as well as to bring in adequate resources. It is important to note that I will work with member states to ensure geographical and gender equity within senior leadership. At present, too few women make it to the WHO’s top levels and this needs to change. We will also need to show results and accountability to drive a new resource mobilization strategy that doesn’t just rely on a small handful of donors. On the road, I have heard member states calling for a WHO that is quick to respond to their needs and works in collaboration with them rather than just promoting carefully triangulated political solutions that play well in Geneva. To truly contribute to the SDGs and fulfill its mandate, there is need for a change in mindset and capacity to usher in a new leadership paradigm where WHO will lead through convening and forging partnerships, recognizing the need to work with all stakeholders without vilification, but with transparency and accountability. It is time for WHO to get “back to basics” focusing on its norms and standard setting function and effective emergency preparedness and response. It is time for WHO to rebuild its foundation. Ebola was such a serious warning. Urgent reform is now an imperative–it is underway, but at a fragile stage in its progress. By supporting my candidacy, member states will be casting their vote for reform, transparency and accountability, and an earnest desire for change. 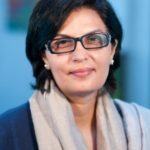 Sania Nishtar is a nominee for director general of the World Health Organization. She is a Pakistani physician, former federal minister, co-chair of the WHO Commission on Ending Childhood Obesity, and civil society leader in health.